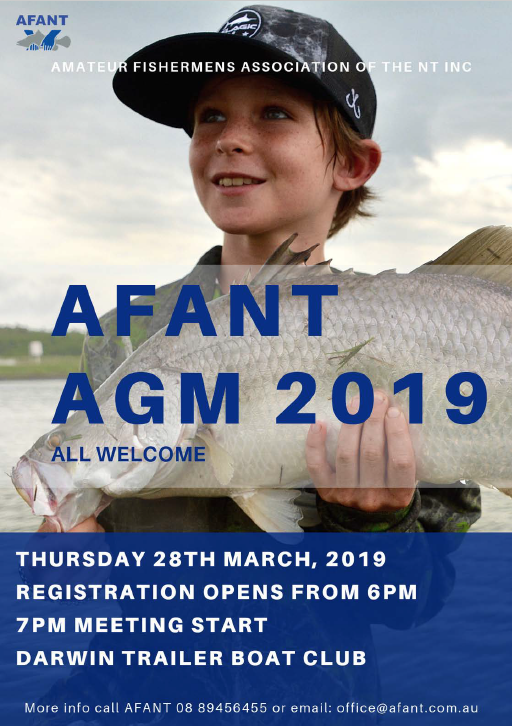 The AFANT Annual General Meeting is being held on Thursday 28th March 2019. The AGM will be held at the Darwin Trailer Boat Club with registrations open from 6pm and the meeting commencing at 7pm. Please find more information on the AFANT Facebook Event.